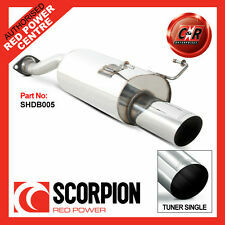 NOTE: THIS 'RACE TUBE' IS SUITABLE FOR USE WITH ANY STANDARD REAR SILENCER OR ANY PERFORMANCE TAILBOX THAT WOULD FIT TO A STANDARD CIVIC TYPE'R' CENTRE BOX. NOTE : THE IMAGE SHOWS THE ACTUAL 2.5" CIVIC TYPE 'R' RACE-TUBE. HONDA CIVIC 2.0 200BHP TYPE R EP3 ENGINES. Stainless Steel T-304 Exhaust System. 2.25"(57mm) all the way through, 3" tail pipe. Mandrel bent T-304 stainless steel. This exhaust system's mirror polished. Honda Integra B Series 96 Spec Exhaust Manifold . Condition is Used. Plea se note, fittings are NOT included such as centre clamp, gaskets or bolts etc. I was also very impressed quality of the race tube. It also seems to have sorted out the flat spot I had between 3.5K and 4.5K. 1996-2000 HONDA CIVIC 1.8 VTI MB6. Stainless Steel T-304 Exhaust System. 2.25" stainless steel Exhaust Pipes. Mandrel Bent T-304 Stainless Steel. 3.5" tail pipe. Oil Coolers & Hoses (42). Air Induction Kits (272). 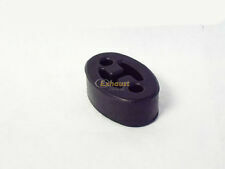 HONDA CIVIC EG EK VTI 50MM FIRE RING DOUGHNUT (DONUT). Replaces the rear bolts that are prone to snapping when taking off the OEM back box. WITH SPRING BOLTS. honda civic exhaust back box. Condition is Used. Dispatched with Royal Mail 2nd Class. Honda Civic Ep2 M2 Catback. Condition is Used. In very good nick Just requires the fire ring and gaskets No reserve Happy bidding! Honda Civic Type R EP3 2.0. Takes out Centre Silencer Box. A Scorpion Stainless Steel Race Tube. Northern Ireland, Southern Ireland, Highlands, Orkney, Shetland, Isle of Wight, Isle of Man. Straight Through Pipe. The other end fits to the 2 bolt flange on the Sportex back box. Will work with other back boxes with a rotating 2 bolt flange. It is not a standard bore exhaust with just the middle silencer deleted. 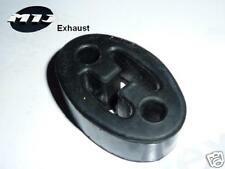 M2 HONDA CIVIC EP3 TYPE R 57MM FIRE RING DOUGHNUT (DONUT) EXHAUST BACK BOX GASKET SPRING BOLTS. 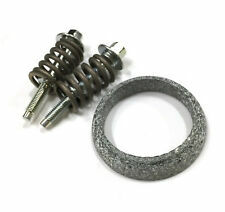 Replaces the rear bolts that are prone to snapping when taking off the OEM back box. Also if you are replacing your rear back box you may find the gasket will crumble. Not available for 5 door. Single 3" round tailpipe design. Looks and sounds great with deeper, louder than standard bass exhaust tone. Back pressure is reduced producing power gains. Note: this is NOT a universal exhaust but a direct fit to the exact model of car shown. This performance exhaust race tube replaces the central section of the original exhaust for max performance. Sportex performance exhausts are constructed using aluminised mild steel for the boxes and pipe work. Single 4" round jap style tailpipe design. Looks and sounds great with deeper, louder than standard bass exhaust tone. Back pressure is reduced producing power gains. Note: this is NOT a universal exhaust but a direct fit to the exact model of car shown. We are an established Honda main dealer and can provide accessories for all the Honda range. GENUINE HONDA ACCESSORY. All our accessories are ordered directly from Honda UK and are 100% Genuine. We pride ourselves on our great service. Our trained staff will help you in any way we can. Problems are always resolved in a fair and professional manner. Single 3" round tailpipe design. Looks and sounds great with deeper, louder than standard bass exhaust tone. Back pressure is reduced producing power gains. Note: this is NOT a universal exhaust but a direct fit to the exact model of car shown. Honda Civic Sport EP2 1.6. A Scorpion Stainless Steel Cat Back System. Northern Ireland, Southern Ireland, Highlands, Orkney, Shetland, Isle of Wight, Isle of Man. (Three Bolt flange Fixing to Back of Cat). M2 MOTORSPORT HONDA CIVIC TYPE R FN2 STAINLESS STEEL BACK BOX SINGLE EXIT. Fits FN2 TYPE R ONLY. A front pipe only option 2. 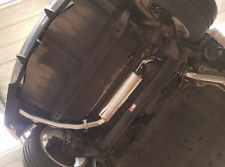 A front pipe with muffler option. Stainless Steel. We pride ourselves on our great service. NOTE: YOU DO NOT NEED A SPORTEX TAILBOX TO FIT THIS ITEM. IT IS SUITABLE FOR USE WITH ANY STANDARD OR PERFORMANCE TAILBOX USING THE ORIGINAL HONDA FIXING POSITION. and the tailbox on the following Honda Civic models. 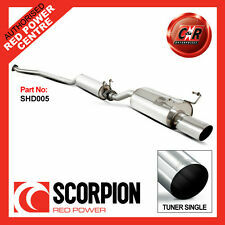 HONDA CIVIC (1995-2001) HATCH - SPORTEX EXHAUST DE-CAT PIPE. NOTE: YOU DO NOT NEED A SPORTEX TAILBOX TO FIT THIS ITEM. IT IS SUITABLE FOR USE WITH ANY STANDARD OR PERFORMANCE TAILBOX USING THE ORIGINAL HONDA FIXING POSITION. Plea se note no fittings are included such as gaskets or bolts etc. This product is basically the centre section of the exhaust system built without the usual silencer fitted. They sound great with deeper, louder than standard bass exhaust tone. Length 430mm CV17. Note this is not a working cat and will not pass an MOT. Sorry we do not export. It is extra to the Highlands/Northern Ireland/IOM. Twin 3" round jap style tailpipe design. Looks and sounds great with deeper, louder than standard bass exhaust tone. Back pressure is reduced producing power gains. Note: this is NOT a universal exhaust but a direct fit to the exact model of car shown. 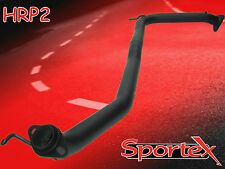 M2 HONDA CIVIC EP2 SPORT STAINLESS STEEL CENTRE SECTION MIDDLE PIPE ONLY - STRAIGHT PIPE. 2 Piece 304 stainless steel EP2 Centre section - 60 MM BORE. BOLT STRAIGHT ON - EASY INSTALL. We pride ourselves on our great service. For The New CR-V 2019 Model. This rear Exhaust Tailpipe Finisher will add a dash of style in stainless steel. Exhaust finisher. Genuine Honda CR-V Stainless Steel. MANUFACTURER : M2 Motorsport UNIT QUANTITY : 1 SIZE : 60.1mm / 65mm tip SPECIFICATION : Rear Muffler COLOUR : Polished / Flamed Blued MATERIAL : 304 Stainless Steel MODEL YEAR : Civic 3 dr Hatch 1992-2000 M2 Motorsport. Stainless steel rear muffler back box which looks similar to Toda Dolphin fits OEM Honda centre section and also M2 Motorsport part number M2-MHD-9601H (with resonator) or M2-MHD-9601-P ( no resonator ) . Polished stainless steel tig welded back box with 65mm tail pipe. Fits the Honda Civic 3 door hatch back cars. EG3EG4 EG5 EG6 EJ9 EK1 EK3 EK4. Honda Civic Type R EP3 2.0. A Scorpion Stainless Steel. Northern Ireland, Southern Ireland, Highlands, Orkney, Shetland, Isle of Wight, Isle of Man. Cat Back System. (Three Bolt flange Fixing to back of cat). HONDA Civic EK MB EG or Integra Type R De Cat. Usage: UK manifolds to JDM cat backs ( also can be used for fitting UK manifolds to UK car cat backs). Type: Adjustable in length. Fits almost all UK hondas up to year 2000. Honda Civic Type R EP3 2.0. Northern Ireland, Southern Ireland, Highlands, Orkney, Shetland, Isle of Wight, Isle of Man. A Scorpion Stainless Steel Back Box. 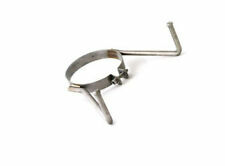 Tuner Single 100mm / 4" Round Jap Style. ( Two Bolt Flange Fixing onto Standard System). 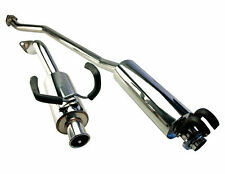 TEGIWA Cat Back Exhaust System. This perfectly crafted cat back exhaust is made from the highest grade 304 stainless steel. The pipework features 70mm pipework from the manifold back. The tailpipe increases to 87.5mm. It fi ts directly between the exit of the Catalytic Converter and the inlet of the rear silencer on the Peugeot 206 GTi (137 bhp model) built in the period 2001 - 2006. 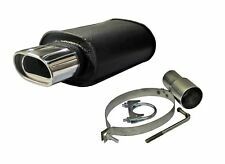 NOTE: THIS 'RACE TUBE' IS SUITABLE FOR USE WITH ANY STANDARD REAR SILENCER OR ANY PERFORMANCE TAILBOX THAT WOULD FIT TO A STANDARD 206 GTi CENTRE BOX. 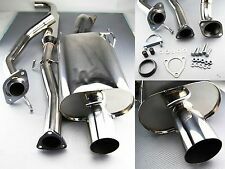 Honda Integra Type R DC2 Standard OEM Cat Back to Back Box Middle Exhaust Section. Collection, or arrange your on own courier. Fits FN2 TYPE R ONLY. Stainless Steel. We pride ourselves on our great service. Our trained staff will help you in any way we can. Problems are always resolved in a fair and professional manner. A front pipe only option 2. Single 4" round tailpipe design. Looks and sounds great with deeper, louder than standard bass exhaust tone. Back pressure is reduced producing power gains. Note: this is NOT a universal exhaust but a direct fit to the exact model of car shown. Part Number: SHDC013. Vehicle Model: Civic FK2. This Downpipe only fits right hand drive vehicles. Product Type: DownPipe With No Catalyst. Years of Manufacture: 2015 on. Benefits of a Scorpion Exhaust. There is no hanger, bung or gasket (ask if needed). We pride ourselves on our great service. Our trained staff will help you in any way we can. Problems are always resolved in a fair and professional manner. 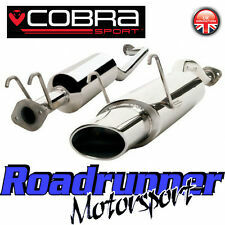 HN15 Cobra Honda Civic Type R EP3 Exhaust System 2.5" Stainless Cat Back 6x4"